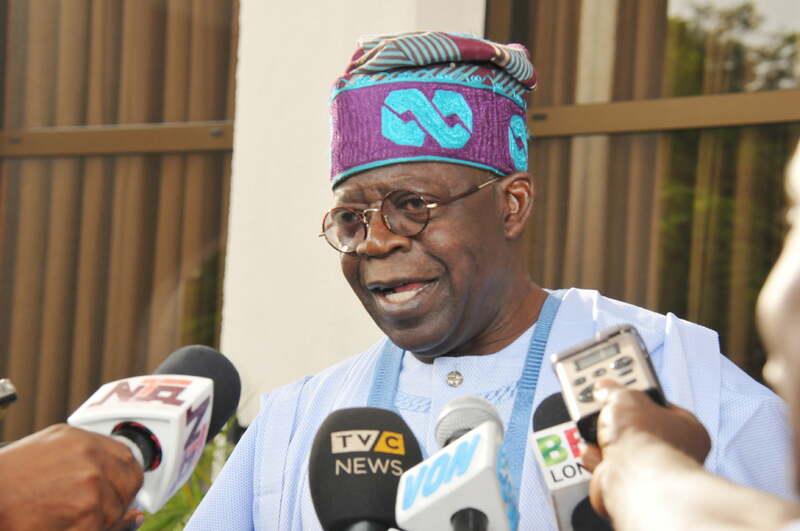 Former Lagos State Governor, Bola Tinubu, has warned the ruling All Progressives Congress (APC) and the President Muhammadu Buhari government “not to fall backward in governance and development” ahead of the 2019 elections. Tinubu said this in a paper he delivered at the Daily Trust dialogue. Represented by a former Commissioner for Finance in Lagos State, Olawale Edun, Tinubu admitted that there are challenges before next year’s general polls. His words: “The challenge we face leading into 2019 is not to fall backward in governance and development as we move forward in time. “Reform and change are difficult because they are always and everywhere resisted by those who benefit from the old order. “But we must insist on a better life for our people. As such, the electoral politics of 2019 cannot be played as if a game that has no end other than itself. “Here again, we must insist on politics having a nobler and larger goal than just registering certain people into the fraternity of officeholders. “People must not only aspire and hold office; they must seek to govern prudently from that office. “This is the challenge of 2019. Shall our elections be a game in and of itself or will it be a platform from which we continue to move toward the progressive, responsive governance Nigeria deserves.